Bills CB Stephon Gilmore is back at One Bills Drive. Choosing to skip the voluntary OTA practice sessions this spring, Gilmore is expected to be on hand for this week’s mandatory minicamp. What his level of participation will be remains to be seen, but Gilmore did offer a shout out to Bills fans courtesy of the Bills twitter account. Gilmore is entering the final year of his rookie contract after the team picked up his fifth-year option in May of 2015. 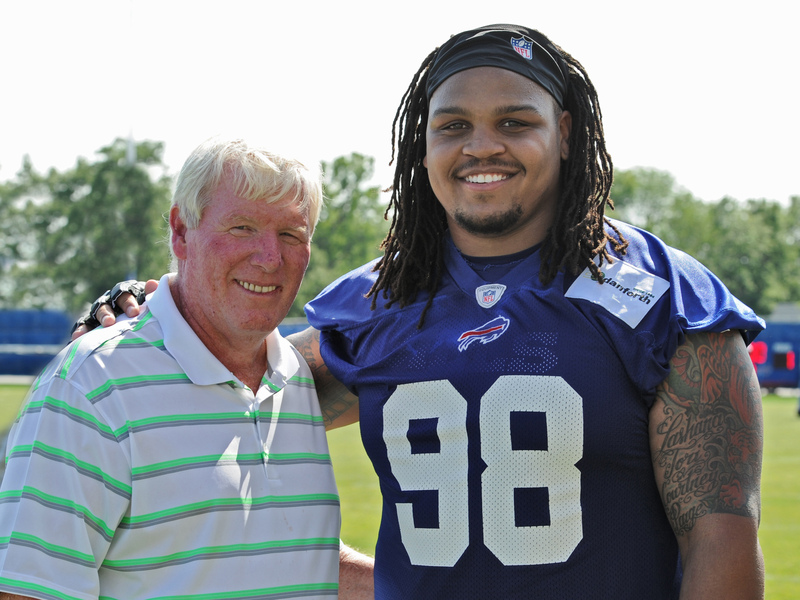 The Bills and Gilmore camp are trying to negotiate a long term contract extension. Bills minicamp runs Tuesday through Thursday this week. Bills head coach Doug Marrone addressed the players early this afternoon before they parted ways for six weeks at the close of minicamp Thursday. While he told the players to enjoy their time off with their families he also reminded them that they’ve got to be ready when they report for camp. “A lot of the times you get up there and say, make sure you do this, make sure you do that, but if you’ve been preaching all along, which we have, for our players to be professionals, you want to make sure they take this time, because it is really a long period of time now, and enjoy themselves and relax,” he said. “Enjoy their family. Enjoy their friends. Make sure when they do come back they are in condition, they are ready to go. Bills offensive coordinator Nathaniel Hackett was asked about the change in dynamics now that the starting quarterback competition is essentially down to EJ Manuel and Kevin Kolb. He said the biggest benefit is with a greater body of work from Kolb and Manuel to evaluate, the coaching staff will be able to better assess who their best option is to win games in the fall. Kevin Kolb was again the first quarterback through the rotation followed by EJ Manuel and Jeff Tuel. The reps were split pretty evenly between Kolb and Manuel for a second straight day. As mandatory minicamp begins this afternoon all players under contract are in attendance. Only Jairus Byrd, who has yet to sign his franchise tender is not in attendance. And since he is unsigned he is not mandated to be here. Bills head coach Doug Marrone and his staff have put a lot on the plate of the players in year one of their offensive, defensive and special teams systems. Now as the begin mandatory minicamp today (Tuesday) those responsibilities will increase again in the practice setting. Marrone made it clear that players will have to think a lot more as more game-like settings are created in the practices this week.